If you took a stroll down Michigan Avenue recently, you probably wondered why there was a whole house planted in between the Tribune Building and the river. Is someone taking up residence right there? 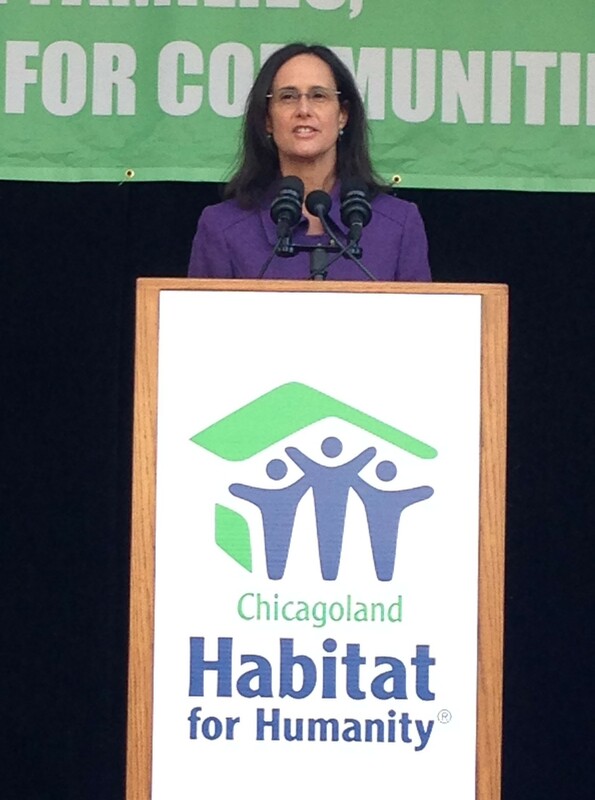 Not quite – but the house will be transported to another neighborhood, allowing a Chicago family to become homeowners. 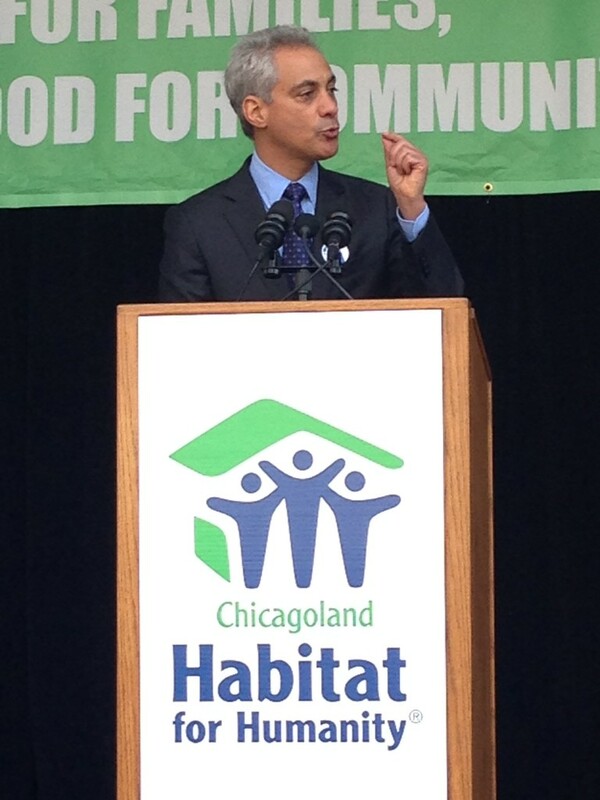 This past week I had the opportunity to join in Chicagoland Habitat for Humanity’s “Raise Your Hand Chicagoland” event, helping to build houses for 13 families. 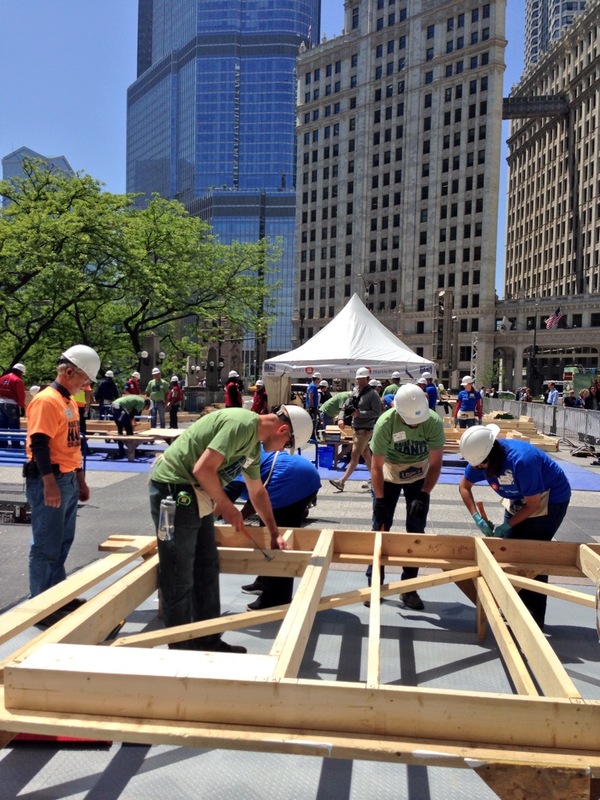 Held in the high-profile Pioneer Plaza on Michigan Avenue (where the Marilyn Monroe statue used to reside), the event gave great exposure to the mission that drives Habitat for Humanity. 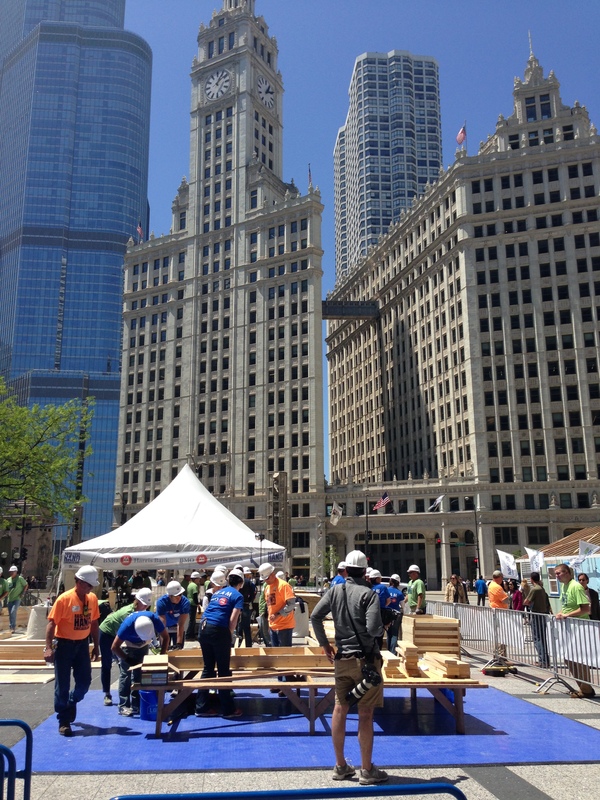 Kicked off by Mayor Rahm Emanuel and Attorney General Lisa Madigan, the four-day event drew hundreds of volunteers and numerous corporate sponsors, including BMO Harris Bank and Lowe’s. Habitat for Humanity is a non-profit organization seeking to reduce homelessness and poverty housing by bringing volunteers together to build houses. The organization partners with families in need to create safe and affordable housing. After hearing inspiring speeches from the Mayor and other leaders and supporters of Habitat for Humanity, I put on my safety glasses, secured my hard hat, and got to work. Habitat supervisors showed us how to read the architectural plans, gather the right pieces of wood and other materials, and position them together. We each grabbed a hammer and started nailing walls together. Hundreds of nails later, we had built six walls, some including doors or windows. We learned that the walls would be transported and fully assembled into a structured house in the new neighborhood. Not just a day of camaraderie and sunshine, our hard work reminded us that we have the ability to make a difference for those in need. Partner families: Who are they? The most inspiring part of the day was meeting a family who lives in one of the houses built by Habitat for Humanity. It’s important to note that Habitat for Humanity is not a hand-out – the partner families are carefully selected, and to live in the house they must contribute hundreds of hours of build time as well as pay all of the mortgage, with 0% interest (the mortgages are comparable to the mortgages in any city the partner families live in). They are supported with home ownership classes to set them up for success in their new home. Many benefits come with home ownership, such as stability, self-sufficiency and a sense of community. Representing the partner families was Natasha Nicholes. Filled with energy and enthusiasm, Natasha shared her family’s story, her life goal of becoming a homeowner, and some of the incredible experiences she’s already had taking part in the builds. She’s also participating in Chicago Women Build Week (June 18 – 21), continuing the construction on the house we started for one of her neighbors. As a Chicago blogger, Natasha shares her piece of the world on her website Houseful of Nicholes – sharing tales of her household of love, laughter and life. Today, she let us in on her experiences with Habitat for Humanity. What inspires you the most about Habitat for Humanity? Ever since we discovered Habitat for Humanity’s true goal, we have been determined to help as many as we can understand the mission. It is impossible to hear how thousands are being helped a year and not feel a need to throw whichever hat you carry in the ring. We are inspired by our fellow partner families. We’re inspired by the idea that their goals are our goals; that their journey is our journey both here and abroad. So with every plank, stud, wall, paint stroke, and swing of a hammer we are one step closer to realizing our dreams whether it be our house or someone else’s. It doesn’t matter. How have your experiences with Habitat impacted your family? The impact of volunteerism has been tremendously felt expressly for myself, my husband, and my oldest son. I don’t believe we would have donated as much of our time had we not been familiar with the Habitat program. Once you start helping it is almost impossible to stop. Homes will be built up our new block for quite some time. So our time will be adjusted to account for our neighbors. 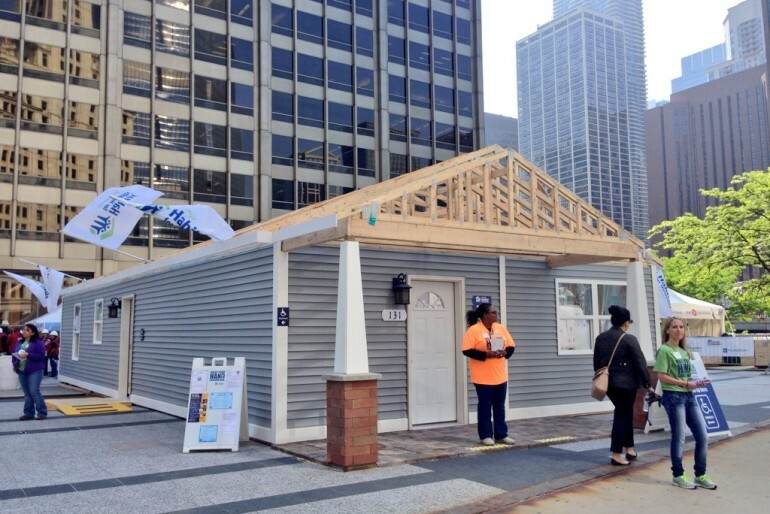 How have your experiences with Habitat shaped the way you feel about Chicagoans helping other Chicagoans? I’m not certain if I’d say that this experience has shaped the way we feel as much as reinforced the way we feel about it. We have strong faith and have seen community with our neighbors, our church family, and at our son’s school. To know that way on the other side of town these same principles are being practiced and shared encourages us. It lets us know that our corner isn’t the only bright one in this city and that there are and have always been lights flickering throughout. What advice do you have for our readers who are interested in getting involved with Habitat? We would definitely suggest looking into your local Habitat for Humanity affiliate. Habitat for Humanity is big on partnerships. So businesses, schools, organizations, groups, concerned citizens, or folks in any other category I may have missed have an opportunity and an invitation to come and assist in the mission. There are also opportunities to assist both here at home and abroad. If you feel like all you have to offer is your time, Habitat can use that. If you feel that all you can give is a modest donation, Habitat can use that too; building materials, supplies, equipment, Habitat can use it all. This is an open invitation to come and be apart of something special with us. My blog was born from the fact that when my husband and I found out that we were pregnant with twins, we realized that there was nothing on line that mirrored our thoughts or feelings. There was TONS about people with singleton births, but nothing about twin births that I felt that I connected with. We cover everything under the Family Lifestyle niche, including recipes, travel, homeschooling, parenting, family life, and reviews. I like to educate as well as incite thoughtful debate. Especially about things that surround socioeconomic structure and the things that sometimes keep several races living in the same city from seeing things the same way. It has helped me grow as an adult, and also provided much needed conversation with people who were so removed from things that they insisted they weren’t a problem to begin with. What words of wisdom can you share with us? I can only say that whatever you have a passion for, pursue it. For the last three years, I’ve been daring to dream, and while my dreams haven’t unfolded exactly in the time frame that I’ve wanted – they’re coming to fruition. Some, like the Habitat for Humanity journery, are happening a lot sooner than I expected. It’s a blessing to be able to work alongside neighbors and construction teams and see everything that is going on. There is no room for pompousness, because EVERYONE is working, and moving towards a common goal. It’s how the world should be. 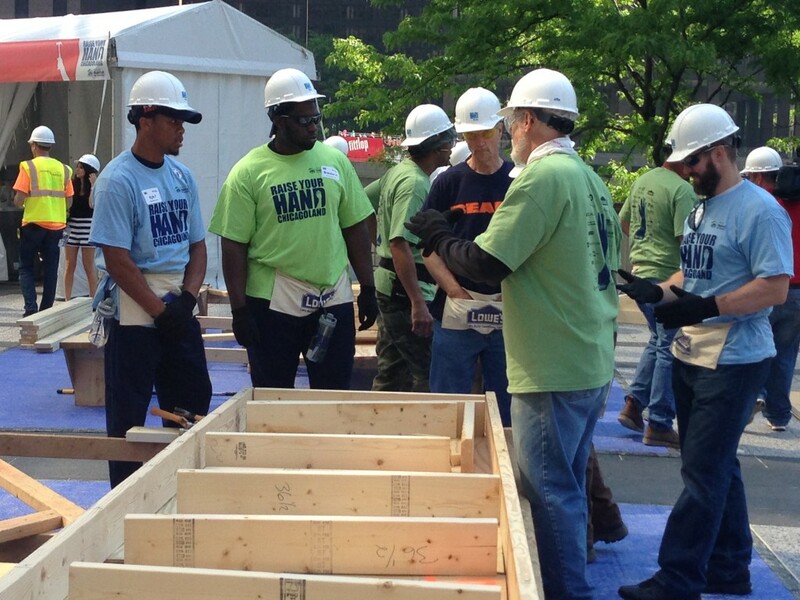 Year-round, Habitat for Humanity provides opportunities to get involved and provide a “hand up” to partner families. Time, talents and resources are greatly appreciated. While Chicagoland is supported by eight affiliate groups around the city and suburbs, here are the best ways to get involved in the Windy City group. 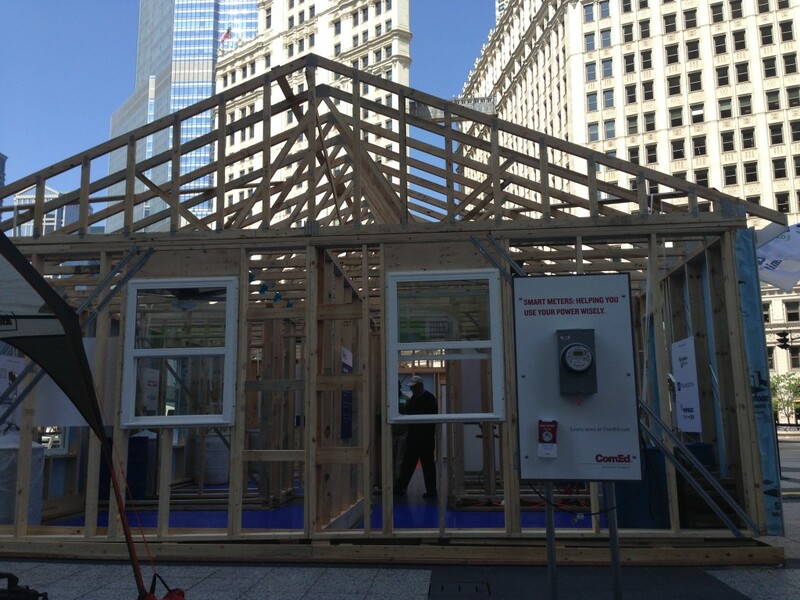 Windy City Habitat for Humanity construction sites are located primarily on the South Side of Chicago. Volunteer days are Wednesday through Saturday, 8:00 am-3:00 pm. Volunteer at the ReStore – managing and selling construction materials for upcoming builds. The ReStore will be opening in Fall 2014 at 6040 N. Pulaski Road. Donate money – this is easy to do online on a one-time or recurring basis. 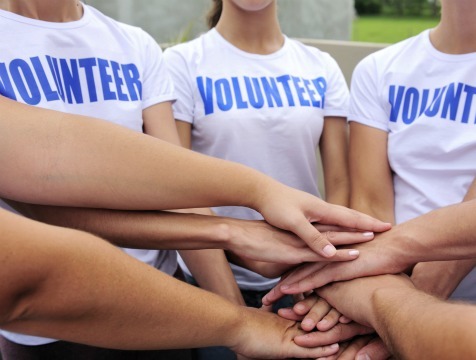 Have you been thinking about volunteering in Chicago but don’t know where to start? When we step outside our normal boundaries, there are so many in need in this great city, as well as thriving organizations just looking for an extra hand. A few months ago, I had a rare Saturday afternoon with no plans, and was interested in volunteering. After a web search turned up no options where I could lend an afternoon without an extensive list of requirements, I nearly gave up. 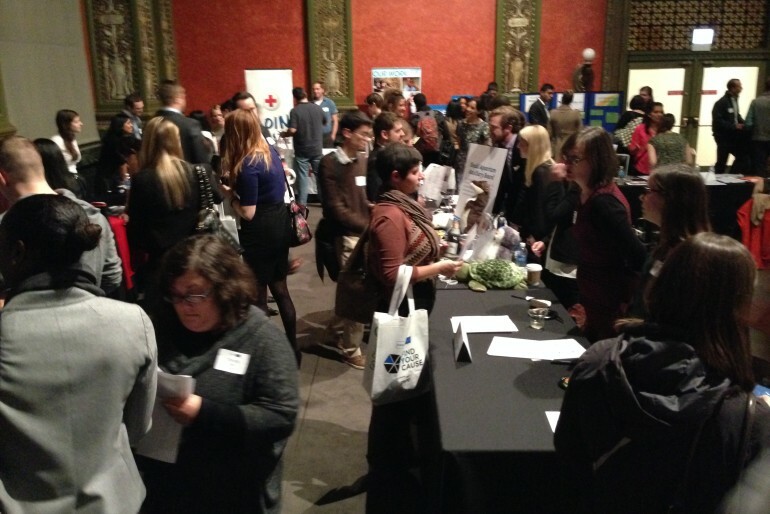 Recently, I had the opportunity to attend the Chicago Volunteer Expo, and came out with a great list of places to give our time and talents. Held at the Peggy Notebaert Nature Museum, the expo featured hundreds of organizations looking for your help. 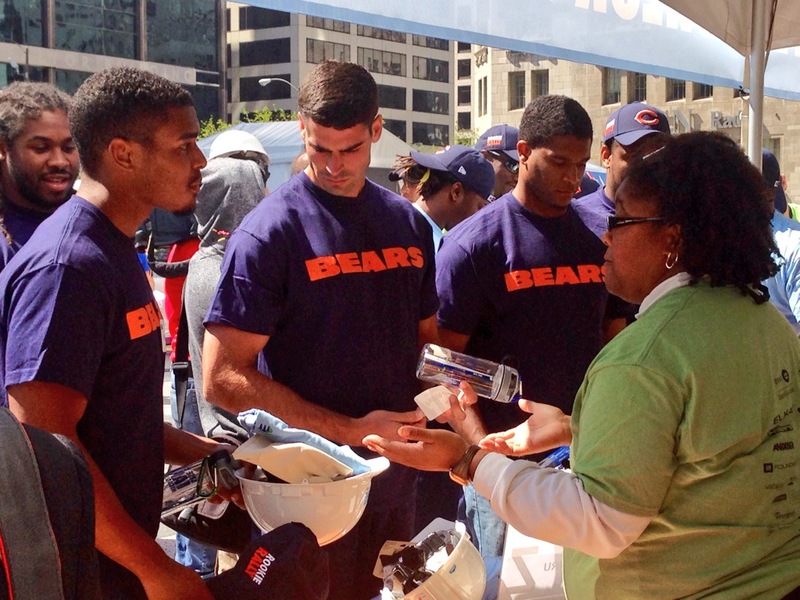 Chicago Cares is a volunteer organization targeting the city’s most critical needs. Their 21st annual Serve-a-thon draws over 5000 volunteers for a fun day of improving the city’s classrooms, parks, playgrounds, libraries and more in Chicago’s underserved communities. Focusing on creating change for the city’s children, this critical day of service contributes to the year’s funding for additional opportunities throughout the year. 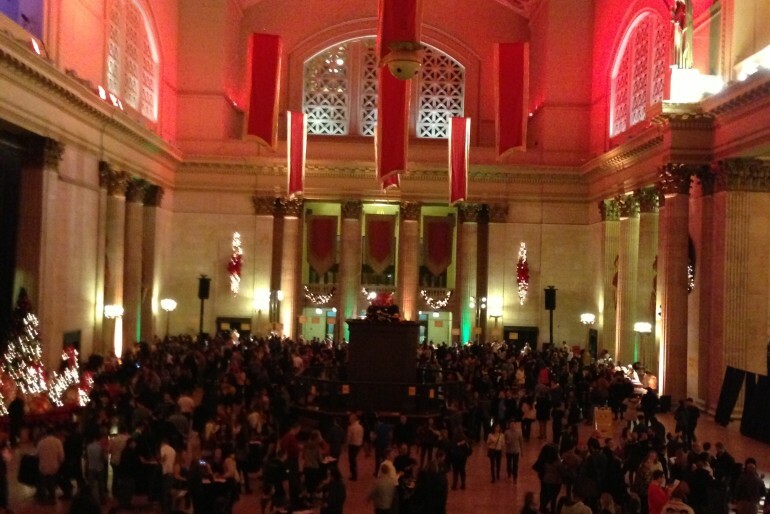 Celebrate your efforts with an after-party featuring food, drinks and live music. Signup is open now for this special annual event. On a regular basis, it’s easy to volunteer for one-time events, just sign up on their website and view the volunteer calendar. One-time events include pet therapy, mock interviews, reading with kids, senior breakfasts and bingo, and introducing healthy foods to children and families, for example. The best part: you can filter opportunities by your availability and what sort of service or population you’d like to work with. Focused on making volunteering simple, One Brick works with thousands of organizations to compile a calendar of volunteer opportunities. Choose one that fits your schedule, enjoy the social atmosphere, and top off your work with a drink at a nearby bar or restaurant. Fully run by volunteers, One Brick is always looking for new helpers like you to fill their opportunities around the city. Events featured on their calendar include poker dealing, neighborhood food pantry meal service, preparing supplies for Girls on the Run youth self-esteem sessions, and support for special events. Did you know the Old Town Art Fair is completely volunteer planned, managed and staffed? Pulled off with a force of over 750 volunteers, the Old Town Art Fair is one of the most anticipated Chicago summer festivals. Help is needed at the entrance gates, manning booths while artists take a break, selling merchandise to benefit the Old Town neighborhood, supporting aid to the artists and more. This is a great way to give back to one of Chicago’s iconic neighborhoods and mingle with the city’s influential artists and visitors. CARA (Chicago Area Runners Association) is one of the most well-known running groups in the city, providing training and race day support to thousands of runners across Chicago. CARA is a non-profit group benefiting over 8600 runners, dedicated to expanding, motivating, celebrating and supporting Chicagoland’s running community. Volunteer support is needed for races throughout the year, particularly for race day aid stations, corral setup and more. What opportunities have you taken to get out there and support Chicago?